Don’t miss out on Micro Galleries (Denpasar) event! This global art event aims to reclaim abandoned or forgotten public spaces and turn them to tiny galleries that are easily accessible to the public and community. And now they’re coming to Bali! 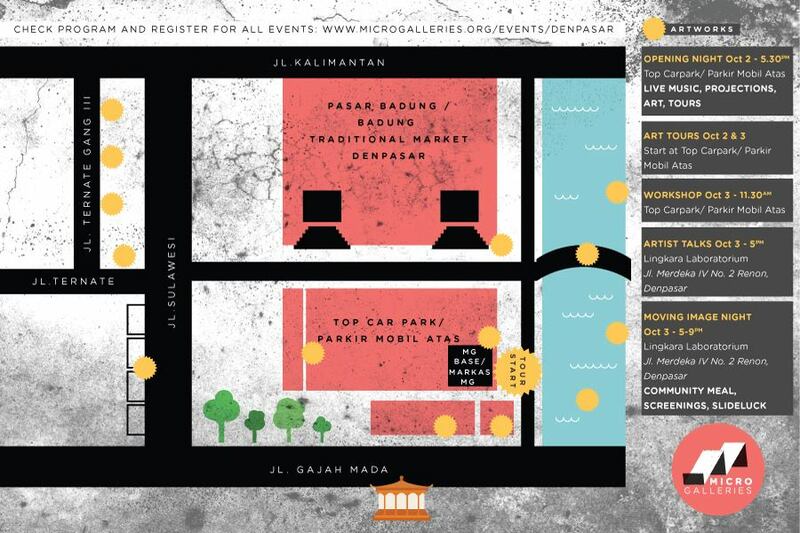 Micro Galleries Denpasar will be held at Pasar Badung (Badung Traditional Market), Denpasar, Bali, from Oct 2-4. It will also showcase 13 Indonesian and 14 Australian artists. Check out the image above for detailed schedule or their Facebook page.